Want to run a short scenario on the fly? Need to fill in a missing encounter in your current campaign? 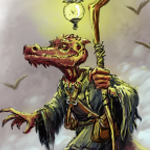 Want to roll initiative right now…?! 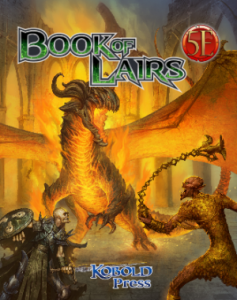 The Book of Lairs and the Book of Lairs Map Pack have just released and are available in the Kobold store. This product brings you 24 monster lairs, each a little different and complete with a short adventure, including a hook, area hazards, tactics, and treasures. And the Map Pack brings you beautiful full-color maps to use with those adventures—or with any other adventures. Want to fight in a pirate cove? A warlock’s crypt? The Citadel of the Void Dragon? The Tomb of the Scorpion Prince? Yes, please! Never not have a wondrous locale to throw dice on! And the maps are gorgeous! I bought on the backerkit.com. How do i download it? You should have gotten an email with download instructions today. 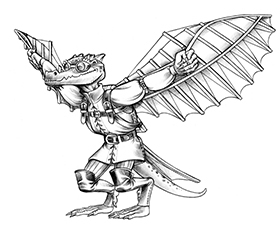 If you did not get the email, it means the address we have is opted-out of communications from Kobold Press, and we are not legally allowed to contact you. In those cases, please send an email to koboldpress@gmail.com, and we’ll sort it out.